Here at BRD we want to help and encourage derby to keep on travelling around the globe, so we have begun creating a series of articles with tips and tricks on how to set up your own league in those tricky to reach places and countries that are yet to be blessed by our 8 wheeled sport. The following will give you some pointers regarding the first steps to setting up your league. 1. Forums, Social Media, Press and Skating Venues. So you have touched down in your new country and home for the foreseeable future and, gasp! 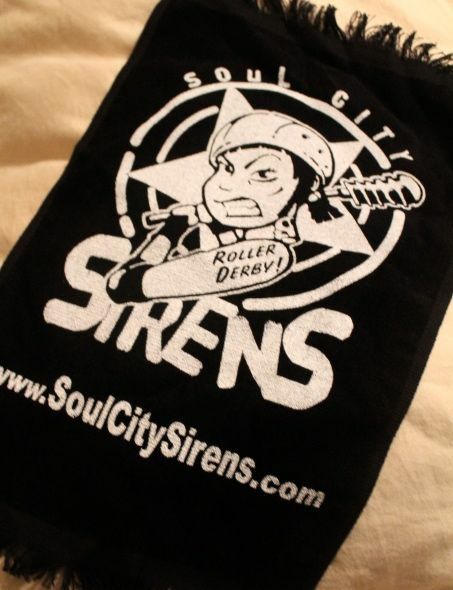 There is no roller derby in sight, stay calm… here is what you can do. Get your internet up and running. It's time to hit those internet forums and see if there is anybody around who also wants to skate and potentially help you set up the league. It's always easier to get something up and running with many heads put together. You want to post all over the place! I am a derby player from the UK. 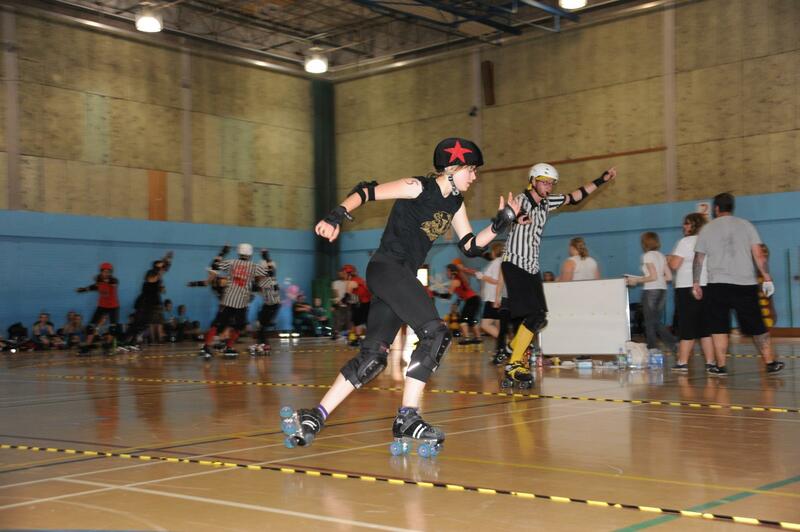 I play for MKRD, Milton Keynes Roller Derby! they like it or not! Chinese, or people interested in skating and the sport? team, I have heard hints of one in Shanghai. I am happy to introduce people to the sport, train and teach. Lets bring roller derby to China! It only took a couple of hours before Hooten' Annie, who formerly skated with the San Angelo Soul Sisters (SASS), got in contact with me and we started planning the league together right away. If you have no luck with the forums you can move onto using social media (see below). Now it's time to spread the word of your shiny new league. We actually created all of our social media sites before we had any players other than ourselves, we did this for two reasons. Firstly, so that we could gather interest from local press and to have an online presence in Beijing. Secondly, we did this so that we could recruit new players, and introduce expats and locals to the idea of roller derby by having a website with information to direct them to. Where will you skate, price and kit requirements. Do not worry if you are not at the stage of knowing where you will skate etc. You can post on your skating venue page "Venue needed, please contact us if you are able to help!" The social media is there for people to find you and to start spreading the word of your team! The internet has been our saviour, because let’s face it, Beijing is BIG! It has allowed us to build up social networks and put the word out there that derby has arrived and it isn’t leaving. Now that you have your social media sites, it's time to find different forms of media to advertise that you have a league and you need players to fill it! One of the best ways to do this, is to get in contact with the local press. Prepare a short and interesting introduction that you can email out to the local newspapers and magazines. You can request an interview, or an article about your league and how it is bringing a new sport to the city/country. It won't be long before you start receiving interest from potential recruits. You can also make flyers, and posters to leave around town, we recommend leaving them in gyms and park notice boards, and if you are lucky enough to have skate rinks around the place, then obviously post flyers there too! We have found that actively going out and recruiting in-person to be one of the most effective forms of recruitment. Here in China everybody uses the mobile phone app 'wechat' to keep in contact, it is well worth finding out if your country has something similar that you can use. Our players recruit everywhere, and funnily enough, public restrooms are pretty effective! We have been to many bars, live gigs and events where we have ended chatting derby to people in the long restroom queues and recruiting them! So do not be afraid to chase down anybody who you can communicate with, and to present them with the idea of roller derby. You just never know, they may be new to the area too, and want to make friends or take up a sport. Now you may be wondering why the venue was left until last? Well, it's very useful to have skates and a place to skate when starting a roller derby league, but sadly when setting up one overseas it isn't always likely that you will have access to the above. However, that doesn't mean you can't begin recruiting skaters and interested parties through the various forms mentioned above. You can still run off-skates training, social events, and meetings to solve these issues with your new recruits, you do not have to do it all alone! Our next installment will help your league begin preparing your resources and policy manual, finding a place to skate and how your league can find kit. Originally skated for the Concrete Cows MKRD in Milton Keynes, UK. 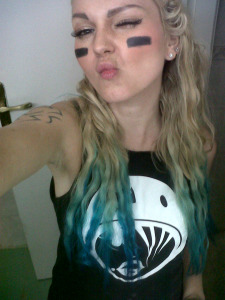 Joint founder of Beijing Roller Derby League, and coach for the Rickshaw Rollers!